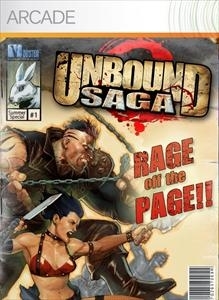 "Get a taste of the smashtastic adventure of Unbound Saga, a 3D side-scrolling brawler set in a satirical comic book universe, where enemies are drawn onto the screen and madcap battles travel from panel to panel through a twisted, post-apocalyptic landscape! Realtime physics and destructible objects turn anything into a weapon, so grab the controller and RAGE OFF THE PAGE!" "Spunky Cola Special DLC: The first DLC for Monday Night Combat that is completely free. Play Crossfire mode online in the new Spunky Cola Arena. Bring yourself and your closest friends into the new Super Sudden Death Blitz mode played in the amazing Suvivitol Arena. This DLC also features expanded private match options, updates to existing arenas, and many more features to make your Monday Night Combat gaming even better. Spunky Cola Special now with more arenas, more ProTags, more explosions, more awesome and churros!" 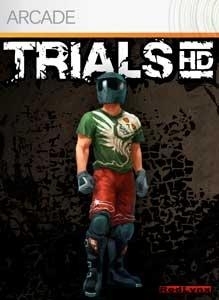 "Thrill for more Trials HD! This second DLC for the award-winning Xbox LIVE Arcade game includes 40 all new tracks, including the 10 best user-created tracks from the Big Thrills contest. There are also 3 new achievements you can unlock for 50 more Gamerscore. With more than one million copies sold, it's time to try Trials and see why this was voted the number one Xbox LIVE Arcade game by Xbox 360 fans just like you!"